Over the years we tend to accumulate SO MUCH STUFF! It is crazy how it seems to build up, even if you are trying hard to keep the clutter to a minimum. There’s always something new coming into the house, so sometimes we just gotta get our sale pants on and make some dollars! But that means knowing where the best places are to sell your unwanted stuff! The best way to make the most money when you sell your unwanted stuff is to know what options are available and what the best platform is for each item. There’s so many possibilities… so let’s work through the most common ones! There are so many different options available to us to offload our unwanted goods and make some extra cash. There is absolutely no point having it sit around collecting dust at home so why not start making some cash back on it instead! For the everyday stuff that doesn’t have a huge amount of value, I tend to use Facebook Buy Swap Sell groups the most. They are free to use, reach thousands of people and are pretty simple too. Just make sure you are following the rules of each group as they can differ quite drastically and some don’t allow certain types of products or posts. You may also need to wait for your post to be approved too. You can join the groups in your area by searching your city + garage sale or similar, or you can list your items directly into the Facebook marketplace these days too. This means they reach an even wider audience, giving everyone on marketplace the opportunity to search for your items. Most people search by distance from their location, although some just don’t read the details and you may find you get a few auto messages ‘Where are you located?” before you get a local buyer. One downfall with these groups is that sometimes the people aren’t always reliable. I’ve had many no-show buyers over the years and it is frustrating as hell! Or the ones that change the time on you at the last moment. One of my pet hates is waiting for people to come pick stuff up, which is a big reason I can be such a slacker with selling my unwanted stuff, but there’s no doubt about it, Facebook is the easiest platform for most of us. And all you need is a Facebook account – it’s totally free! 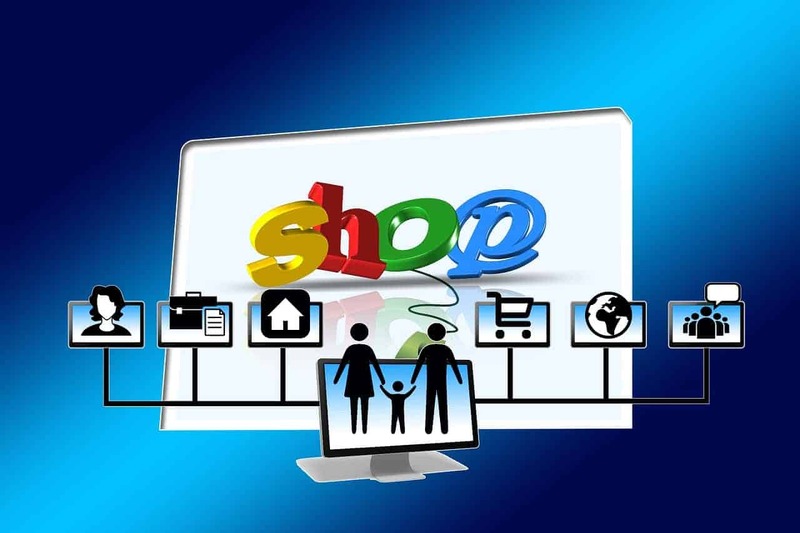 Online trading post websites like Gumtree (Australia) or Craigslist (USA) are another great option for your lower value items, as again they are free to use so there is no cost to you. Just cash in your pocket. 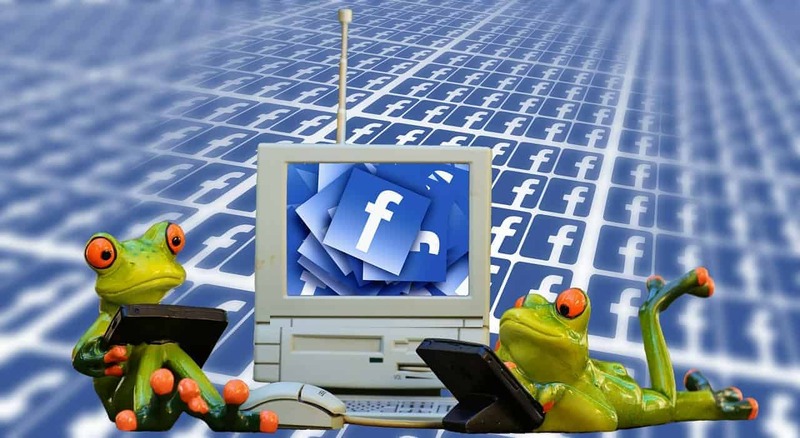 However people use these sites a little less these days since the Facebook groups have reached such popularity and it means back and forth communication to organise a time and wait for a person to come. I don’t use these websites often these days, however in the past had some success with selling certain items on there. Baby furniture seemed to sell really well on Gumtree when it just sat unnoticed on the Facebook groups for months. But really, it’s the luck of the draw and depends on who’s looking for what you have! 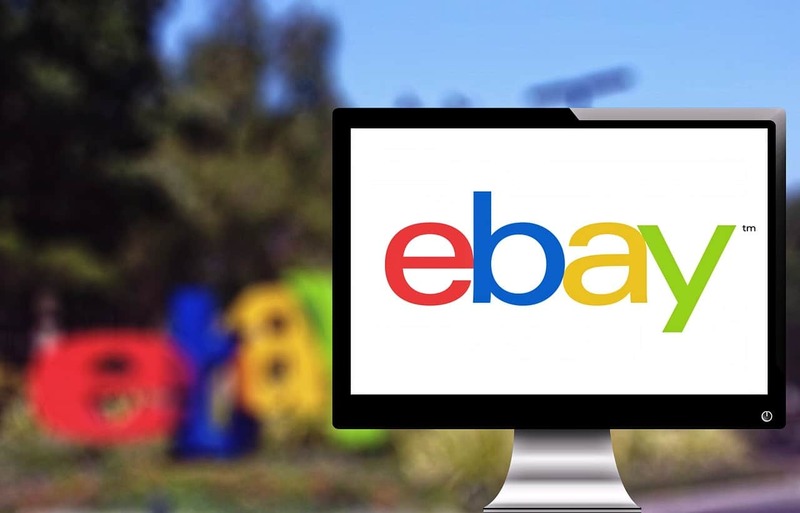 For things that may fetch a higher price and are small enough to post, eBay can be a great choice because you have the option of listing your items as either an auction, where people can outbid one another for the item, or to set a buy it now price for instant purchase. This means you can sometimes fetch a higher price than you may have anticipated… but make sure you set your lowest price reserve if doing an auction to make sure you don’t end up selling a precious possession for $1.50! You can set up auto renewal up to 3 times if your item doesn’t sell straight away. Be mindful though, eBay fees can be hard to work out as they are dependant on the final sale price of your items. I got stung pretty high with fees on my most recent eBay listings so I will be less inclined to sell via this platform in future. However it is convenient rather than having to wait for people to come pick things up! You simply pop it in the post instead. Although for large items there is a local pick up option available too, so that’s great to have the flexibility. If your items are handmade or can be used for craft and creative purposes, Etsy may be your perfect option to sell unwanted stuff… or sell your own handmade creations. You can even sell digital creations on Etsy and this is something I’ve had a bit of success with myself over the past few years. Etsy has pretty simple and affordable fee structure for listing your items. That means no hidden surprises like eBay with your final sale price. And again, you can post the items off so no waiting for pick ups. You also have the option to sell to overseas buyers too if you’re happy to ship there, at their cost. If you have a lot of stuff to get rid of and want to sell it fast and in one go, you may want to consider having a garage sale at home. You don’t even need a garage really. You just need a space to put all your stuff (wet weather friendly is best) and people come to you for a browse. My parents had a mammoth 2 day garage sale before they moved into their bus for full time travel last year and pretty much it was a half a house sale. The garage and their main living area were decked out with all the items they were selling to downsize and it was crazy! 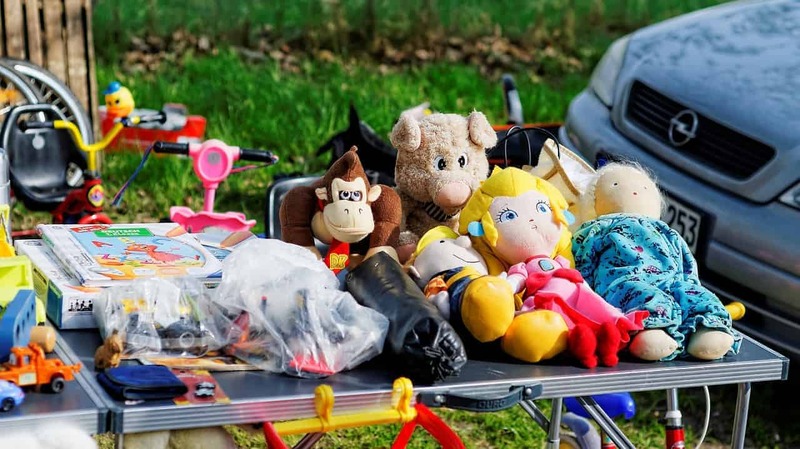 Garage sales can be a bit hit and miss when it comes to getting rid of unwanted stuff, but if you advertise it well, you should get some buyers. These days it is pretty easy to advertise. Those Facebook sale groups are perfect for this purpose, and sure beat the old days when you just had to hang signs up around the neighbourhood! People expect a mega bargain at a garage sale though so they are best for low priced items and getting rid of bulk clutter. Don’t price too high or nothing will move! And as you get closer to the end, consider marking prices down even more or giving people a fill a bag option with certain items. Less clutter for you!! Another great way to move lots in a hurry can be markets and car boot sales. 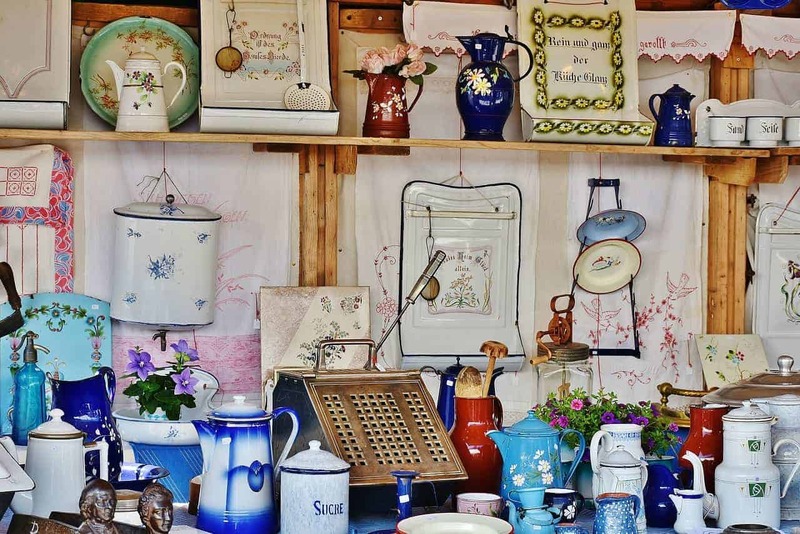 Markets and car boot sales often have a fee to set up a stall or spot, but so long as you’re selling a few items you tend to make this back pretty quickly. Make sure your items suit the type of market though. Trash and treasure doesn’t sell so well at a craft and handmade market for example. Do your research so you’ve got the right type of products! Again, bargains are popular at second hand markets just like at a garage sale so if the aim is to get rid of lots of stuff, do it for cheap! The worst part is the early morning starts most of them have. Eeekkkk!!! If you are selling something more specialised, you may want to go for a targeted selling platform, such as a car sales website for your car, or similar if it is an antique or collectable. There are lots of niche options to consider and you will potentially fetch a higher price than using the generic sales methods. But you will also be paying more to list them in most cases too so this is something worth weighing up first. Most newspapers also still have a local classifieds section although these are not as popular as they used to be. Still an option and many are free to list items up to a certain value too, which is always a bonus when you are selling without having to pay any fees. Check your local newspaper website or in the paper itself to find out your options. Amazon has just recently launched here in Australia and that brings a new online platform here and has been a popular one in many other countries for years too. This isn’t one I have explored yet so you will need to have a look at how it works and what fees are associated, however it is definitely worth considering. From a quick look it appears you pay a monthly subscription fee to sell online with Amazon and this allows you unlimited listings. If you’re selling huge quantities of brand new stuff, this may be a good option otherwise it might not be so well suited for the occasional seller and declutter. So pretty much there are options galore for selling your unwanted clutter and making some spare dollars in your spare time! And let’s face it… less clutter means less mess and less mess means more time for you to spend on the things you actually want to be doing! Amazon – Brand new or bulk products, books, personal care, clothing. eBay – Smaller items you can post, electronics, media, collectables, brand clothing. Etsy – Handmade items, digital products, craft and DIY supplies. Facebook Groups – Large items, every day stuff, second hand. Garage Sale – Second hand or unused items, trinkets, general clutter. Markets/car boot sale – Second hand, clothing, trinkets, collectables. Newspaper classifieds – Larger items like furniture or collectables. Online trading post website – Larger items or collectables. Specialised websites – Targeted to the website such as cars and other vehicles, collectables. And of course, if there is a heap of stuff you haven’t been able to sell and you’re at the point of just wanting it out of your home, there is always the option to donate to a local organisation who takes unwanted goods. Make sure they are clean and functional though. Don’t dump your rubbish on a charity organisation. You’ve got a bin for that! Need help decluttering your unwanted stuff? Here’s some quick tips to declutter in a hurry! Online auctions sites worked really well for me historically. I have valuable items that I put up for auction and people would just bid and bid to get it. Ebay is a classic too and should never be underestimated.